Chris Waddle believes it will take an 'unbelievable deal' to prise Rafa Benitez away from St James's Park. The Spaniard continues to be linked with the vacant West Ham managerial position and has seen his odds fall further overnight. But Waddle believes it would be a big risk for Benitez were he to make the move to the London Stadium, and that it would take something special to entice Benitez to the Hammers. Benitez has a year remaining on his current deal and, after West Ham parted company with David Moyes, his name was immediately thrown into contention alongside the likes of Manuel Pellegrini and Paulo Fonseca. Concerns over his transfer budget for next season led to speculation that Benitez may be tempted to leave, but Waddle - who spent five years at Newcastle - believes that the funds on offer may not be drastically better at West Ham. And the former England international says that the relationship that Benitez has cultivated with the Newcastle fans means that it would take an 'unbelievable' offer to make the Spaniard move. "Benitez might look at it and think, ‘You know at Newcastle, I’ve got that budget which is not obviously great’ and he wants more and rightly so," he said, speaking to BBC Radio 5 Live. "But going to West Ham it might be a very similar budget and he says at Newcastle, he’s absolutely loved, the fans love him, and rightly so, he’s done a great job. However, Waddle insisted that Newcastle would have to back Benitez financially if they want to push on next season. 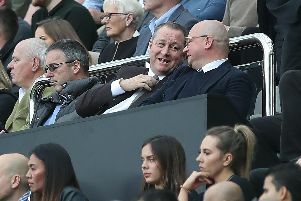 "If they don’t spend, Newcastle, then obviously to get the maximum out of those players again is very difficult," he admitted. "That’ll be three years running, with the same basic squad."